Naval Air Station Pensacola is located in the Florida Panhandle just west of Pensacola. The base is proudly referred to as The Cradle of Naval Aviation due to its rich history in training Navy pilots. NAS Pensacola is the primary training base for all Navy, Marine and Coast Guard student aviators. Naval Flight Officers are also stationed at NASP for primary and advanced training. The base is home to the Navy's Blue Angels and hosts a large airshow every year. In addition to flight education, the base also hosts the Naval Aerospace Medical Institute and the Naval Air Technical Training Center. Aircraft flown at Pensacola include the T-6 Texan, the T-1 Jayhawk and the T-39 Sabreliner. 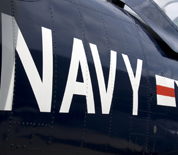 Visitors flock to the on-base National Naval Aviation Museum to tour its numerous galleries that showcase naval aviation history. The on-base Oak Grove Cottages and Campground provide affordable accommodations only a few feet away from Pensacola Bay. This NAS Pensacola directory features the critical info you’ll need to navigate through the many facilities and recreational opportunities available on base.